You raised £452 for Movember! December 5th, 2014 by Dr Wheeler. Thank you so much to everyone who contributed to my Movember campaign. You raised £452 to help fight prostate cancer. testicular cancer and male depression. It was itchy and annoying at times – and I had quite a few strange looks over the month – but I think it was worth it. Thanks again – I really appreciate it. I have a wee time-lapse of the whole moustache growth below…. a picture for every day of the month. 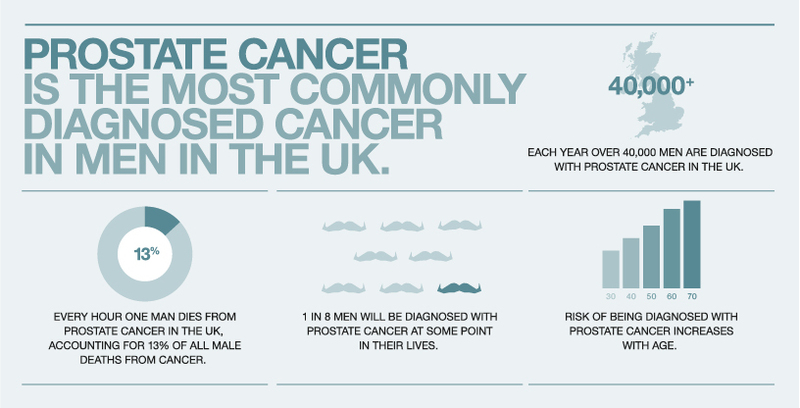 1 in 8 men get prostate cancer. October 30th, 2014 by Dr Wheeler. Prostate cancer is a big deal. Many of my patients over the years have had to deal with the diagnosis, including several men around the island of North Uist at this moment in time. How do we work out if a man has it? Who needs treated when they are diagnosed? What is the best treatment to use in those who are treated? We really need to focus more time and money on the problem to help improve cure rates and reduce the burden of the disease in our communities – so i hope you will help support me in raising a bit of money for ‘Movember’. I am growing a mustache for the month of November to support this charity. It focuses on helping progress various men’s health issues including prostate disease. 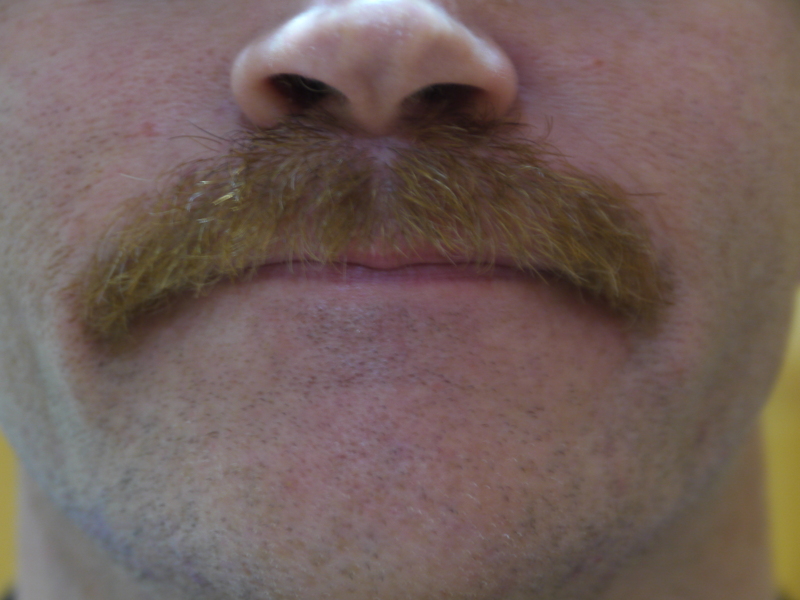 Please don’t laugh at my hairy top lip over the next few weeks – and if you want to contribute, follow the link below and make a donation. Sponsorship forms will also be in the surgery. Go to: http://uk.movember.com/mens-health/prostate-cancer if you want more info on prostate cancer. If you, or someone you know, has noticed trouble peeing over the past few months or weeks, or need to get up at night a lot to use the loo, or have noticed any blood in their urine, please get in touch with us in the practice so we can get things checked out. October 10th, 2011 by Dr Wheeler. Public health have now forwarded me a document outlining their latest information – you can download it here. How much aluminium is too much? October 9th, 2011 by Dr Wheeler. I hope my previous post helps reassure you that there is no need to panic about the current situation. That does not however mean that I am particularly happy with how things rest. Aluminium levels in water supplies was not a topic that ever aroused my interest before – but now that it has, I am happy to share some of my thoughts on the matter if anyone is interested. 1) What level of aluminium is acceptable in our water? This is an interesting question. The WHO have set international accepted levels in a document which can be accessed here. These levels have been selected as being the lowest that could be reasonably expected in public water supplies given the question marks over the risk that oral aluminium poses to human health. The level is in fact 0.1mg/litre of water, but 0.2mg/litre is stated as being acceptable in areas with small populations. It seems to be unfortunate but true that the 0.2mg/litre level that is used for Uist is far from ideal – it is instead a pragmatic response to the fact that it is very difficult to keep aluminium levels low in small water treatment works such as ours. As far as I am concerned this makes breaches of the 0.2mg/litre level even more important than would be the case if breaches occurred elsewhere in the UK where the 0.1mg/l limit is generally adhered to. 2) How high have the aluminium levels been? I have seen the figures for this but unfortunately have not been given permission to publish them. I strongly feel that this kind of information should be freely available in the public domain and would have preferred it if the early figures were highlighted at a much earlier stage than they were. I can tell you that in general the levels have consistently been higher than the 0.2mg/L standard since the 19th September – often several times higher. For a few brief periods the levels went between 9-10 times the accepted level for small water treatment plants – which equates to 18-20 times the level that the WHO indicates that we should generally aspire to. 3) What does all this mean? Good question – I wish I knew the answer. As I stated in my previous post – I am reasonably reassured after looking at various papers and editorials on the Camelford disaster that it is very unlikely that we in Uist will see problems in the future from this short term breach of aluminium levels – but I still have underlying concerns. So – not clear cut, but some cause for concern. Unfortunately for us there has been a much more thorough and as far as I can tell methodologically sound report in recent years which many of the resources on the net reassuring us about aluminium have not taken account of (presumably because it is relatively recent). This study looked at almost two thousand French people over 15 years, and for the first time was able to factor in total daily water consumption at different aluminium rates. In a nutshell, their conclusion was that aluminium levels over 0.1mg/l were statistically linked with an increased risk of dementia (a relative risk of 2.26 – or just over twice the risk of matched controls with low levels of aluminium in the water supply). This does not sound great – though like with any research we need to be careful before drawing conclusions. Putting all this together what kind of questions do we need to be asking Scottish water / public health over the coming weeks? 1) Since we are already forced to adhere to a lower standard of aluminium levels in our water than on the mainland – why were we not informed as soon as the breach of levels became known? (As far as I am aware this would have been within a few days of the 19th September). 2) Why is there not full public disclosure of the levels of aluminium in the water supply even now – several weeks after the event? 3) Given the slow public response to these aluminium levels… how often have aluminium levels breached the 0.2mg/l limit in the past – and were the public ever informed of these breaches? 4) Have there been breaches of the 0.2mg/l limit at the other Uist treatment plant in the past? 5) For the longer term – given the continuing question marks hanging over aluminium levels in our water supply. Is it time to start having public debate about alternatives to using aluminium in our rural water treatment plants? If this is impossible – then at the very least I think we should insist on knowing when the levels go above the 0.2mg/l limit – even transiently. I have now had a few queries regarding the possible health effects from the recent aluminium scare in North Uist. On this occasion I do not have to rely on my reserves of sympathy and empathy however as my family and I have been directly affected – living as we do in the area that has had problems (the water from Grimsay to Scoplaig on the West side has been affected). I found out about the high aluminium levels in our water supply at the same time as everyone else (Wednesday night). Most doctors will know from seeing dialysis patients during their training that aluminium toxicity is a serious problem to be avoided in that section of the population. But my knowledge beyond that was pretty much zero. As such I, and by extension we, need to rely on Scottish water and public health to help guide us through the crisis. Hopefully they are accessing expertise at the highest level relating to the issue. I have to say however that I am disappointed at the lack of hard factual evidence concerning the scale of the problem / the effects that it might have on health that have so far been given to the community. In this information vacuum I am sure that a lot of you will be doing the same as me – googling aluminium to see what the score is. Unfortunately the net is full of the kind of sites that make the medical profession in general despair. A quick search reveals a multitude of poorly researched and hysterical resources about all sorts of environmental toxicities… and it can be hard to separate fact from fiction if you are not used to analysing evidence/ reviewing medical material. I suppose this post is an attempt to a) show that I am trying to keep abreast of the issue, and b) help guide you in a limited way to some resources that may be better than others. The first thing to say is that as far as I have been told, there is very little chance of the recent water changes causing any acute problems with our health. You need to take in a lot of aluminium to feel acutely unwell, and compared to (for example) the Camelford disaster in 1988 where aluminium levels where hundreds of times higher than recommended, our problems are much less serious. In the severe exposure at Camelford initial symptoms included nausea and vomiting, skin rashes and mouth ulcers – but there haven’t been any of these acute symptoms locally as far as I am aware. ‘There is no conclusive medical or scientific evidence of a link between aluminium and Alzheimer’s disease. There have been three independent scientific enquiries into the Camelford incident, none of which have found a causal link with dementia. Whilst this is a sad and tragic incident, it should not lead to wider panic. Aluminium is one of the most abundant minerals in the world, and worldwide research has not found any evidence that exposure to everyday levels of aluminium is a risk factor for Alzheimer’s disease. The Alzheimer’s Society offers help and support to families affected by dementia throughout the country and we would be happy to offer advice to any families living in the Camelford area. So – in summary. This acute exposure to excess aluminium should have minimal if any short term health effects. The long term health effects from aluminium exposure of a short duration also seem to be limited if we can rely on the extensive research that has been carried out over the years into Camelford, but in the process of my research I have come across some concerning information about aluminium exposure over the longer term which I will outline in another post later today. As most of you will now know – Scottish water will be holding drop in sessions -Monday 10 October and Tuesday 11 October at Paible Primary School, Ashdail Cottages, from 4pm to 7pm to answer questions that you have, and I believe representatives from public health will be in attendance also. In the meantime if you have any significant physical symptoms of any nature – the advice as always is to phone the practice and seek advice.